Currently the most popular social media recruitment platform with at least 80% of employers saying that they use it to find and attract candidates, LinkedIn also has lots of career and job seeking tips too. Here is their advice specifically aimed at students on how to tackle the difficult business of writing a LinkedIn profile. Write an informative profile headline. “Honours student seeking marketing position.” Check out the profiles of students and recent alumni you admire for ideas. 2. Pick an appropriate photo. LinkedIn isn’t Facebook. Upload a high-quality photo (your profile will be 7x more likely to be viewed) of yo u alone, professionally dressed. No party shots, cartoon avatars, or puppy pics! 3. Show off your education. Include all your schools, major(s) and minor, courses, and study abroad or summer programs. 4. Develop a professional Summary. Your Summary statement is like the first few paragraphs of your best-written cover letter — concise and confident about your qualifications and goals. Include relevant work and extracurricular activities. 5. Fill “Skills & Expertise” with keywords. This section is the place to include keywords and phrases that recruiters search for. Find relevant ones in job listings that appeal to you and profiles of people who have the kinds of roles you want. 6. Update your status regularly. Posting updates helps you stay on your network’s radar and build your professional image. Mention your projects, professional books or articles, or events you’re attending. Many recruiters read your feed! Groups you join appear at the bottom of your profile. Joining some shows that you want to engage in professional communities and learn the lingo. Start with your university and industry groups. The best profiles have at least one recommendation for each position a person has held. Recruiters are most impressed by recommendations from people who have directly managed you. 9. Claim your unique LinkedIn URL. To increase the professional results that appear when people search for you online, set your LinkedIn profile to “public” and create a unique URL (e.g., www.linkedin.com/in/JohnSmith). This entry was posted in careers and tagged LinkedIn Profile, Profile, skills, Social media on 29 February 2016 by UoC Careers Team. A head’s up that Loughborough University will run a free online numeracy skills refresher course to help boost people’s employment prospects! Poor numeracy skills can often be a barrier to employment and, with numeracy tests becoming a regular part of the recruitment process, the University’s Mathematics Education Centre is opening its doors to anyone who wishes to build on their basic understanding of mathematics. The three-week FutureLearn course entitled Numeracy Skills for Employability and the Workplace is particularly suitable for those who have not had the opportunity to practice quantitative skills since school. It is designed to build confidence and develop essential skills for interpreting numerical data and understanding statistics, as well as refreshing specific numeracy skills such as percentages, ratios, averages, and currency conversions. The course, which will run from Monday 15 June, includes a step-by-step introduction to relevant topics and interactive quizzes to test understanding. There will be feedback at every stage. Anyone who wishes to improve their mathematical confidence for everyday life. Participants will also be given the opportunity to purchase a Statement of Participation – a personalised, printed certificate to show that they have taken part in the course. To register or to find out more click here. This entry was posted in careers and tagged employability, FutureLearn, numeracy, skills on 11 May 2015 by UoC Careers Team. A survey by the Association of Graduate Recruiters predicts a 10% rise in graduate jobs – but are you ready? Do you have the skills you need to apply for that job? If you are sitting down to write your CV, you might have left it too late to assess the skills you have gained – in fact, you should see your first day at university as the first day of your working life. Plan how you spend your time at university to maximise the skills you need in your chosen career. The University’s Career Ahead award can help you with identifying and developing those skills employers are looking for, and with new templates, it’s easier than ever! 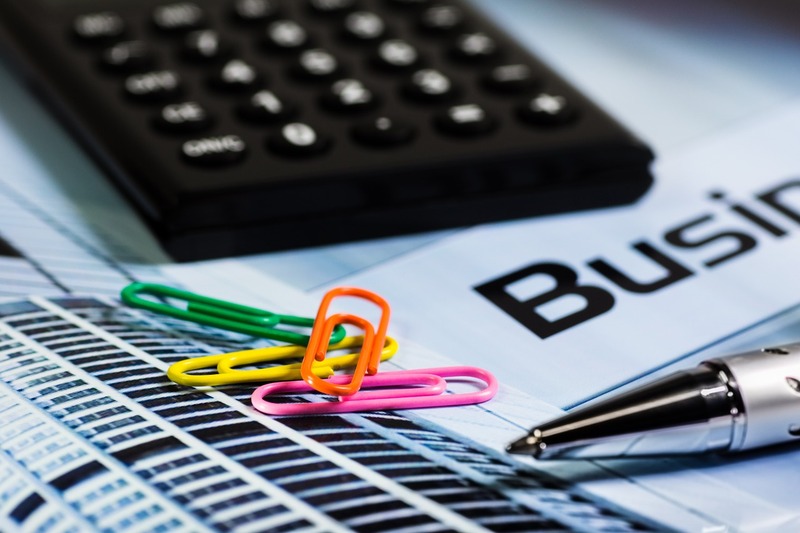 Students who have started a business, organised an event or created a new university society while at uni gain a great working knowledge of how a business is run. This is one of the top skills that graduate recruiters are looking for, but according to a 2013 Guardian survey, only 1`0% of students thought it was a vital skill – this is compared to nearly 50% of employers! Make the most of your time at uni to meet people from around the world so that you develop a greater understanding of other countries and cultures. You could take a summer placement abroad or even study abroad for a year. It is becoming increasingly important for graduates to have an understanding of different cultures and how industries work across different countries. Graduate employers love it if you speak another language, so really highlight this on your CV or application – ‘fluent in Spanish’ looks much better on your CV than Spanish A-level (A)’ as it really demonstrates what you can offer the company. Remember though to make sure that you brush up on your languages before your interview! Make sure that your online presence really reflects what you want to do and your future career, this could include setting up a LinkedIn profile and building some connections in your chosen sector. A lot of recruiters will google you – so make sure that all of your online presence is professional and aimed at your future career. If recruiters find dodgy photos of your from nights out, it could influence their decision. It’s a good idea to try and get a bit of experience in an office environment while you are a student as a lot of graduate jobs will start in the office. Understanding basic office etiquette such as how to dress, how to answer the phone and so on will set you in good stead. While having a licence may not be a requirement for a lot of jobs anymore, if you haven’t learned to drive it’s worth trying before you leave uni. It could open other opportunities further down the line, and some recruiters may be asking “why haven’t they learned to drive yet?” – some may see it as laziness. All employers these days expect graduates to be computer literate – we’re talking things like working with spreadsheets and word processing, using the internet and being aware of instant messaging and conference calling – all of these skills will be important to recruiters. Of course, having skills in programming and software development are a bonus that some recruiters look for, but even having really good numeracy and analytical skills are important. Uni really is the perfect time to join a team, and it could help you land a job! Think about it – what demonstrates teamwork better to an employer than the fact that you have been part of a team for the last 3 years?! You will always see ‘working as part of a team’ on a job description, and you need to be able to prove that you can work in a team beyond the group work you do as part of your degree. If you can use an example where you have built a team yourself – even better!! Working on your confidence will only help you when it comes to building up your network. Go along to networking events relevant to your chosen career and talk to people! Not only will you meet people already in your career that can give you advice and guidance, but you will be working on building your confidence too. If you’re still at uni, it’s worth thinking about how you can build up all these skills. But if you’re in your final year and haven’t ticked them all, don’t worry. Whatever experience you’ve got to your name, a positive attitude is still the most important thing you can bring to your first job. Things you get involved with at university and in your own time might not seem directly linked to what you want to do in the future, but you never know when those skills might come in handy! This post was adapted from this article on the Guardian website. This entry was posted in career, careers, degree, employability, employer, employment, graduate, graduates, recruitment and tagged employability, graduate employers, skills on 14 May 2014 by UoC Careers Team. Preparing for Interview? Try using the STAR Model! Competency based interviews (or situational/behaviour interviews) are becoming the approach of choice for many employers. This type of recruitment process allows candidates to give situational examples of when they have achieved particular outcomes. Competency based interviews (CBI) are used as benchmarks for interviewers. Using this style of questioning means they can rate and evaluate candidates and their ability to fit into the new work environment instantly. This may seem daunting for many candidates particularly those who have no experience of CBI. Clearly, it is important for any candidate to be prepared. 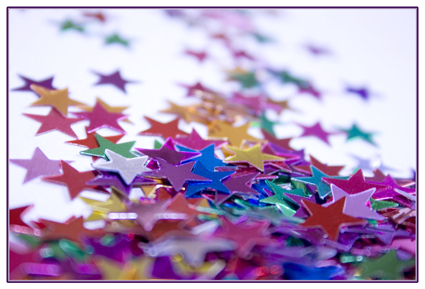 An effective technique to employ when answering competency based questions is the “STAR” method. It allows you to focus your thoughts and structure your responses in a clear and concise way. This means you can further impress the interviewer by getting in additional examples for one question. It enables you to showcase your ability and demonstrate your Unique Selling Points (USP)! Scan the Job Description and Person Specification of the role, then list the key elements of the role and identify key words that encapsulate each of the “Essential” and “Desirable” criteria. Keep these as short as you can. Once you have a list, begin to identify situations/examples and structure your responses. Situation Set the scene. Explain the situation you encountered. It is important for the interviewer to engage and relate to your answer. Examples that are relevant to your potential employer are highly recommended. Task Explain what part/role you took in the situation. Action Explain the action you took to address the situation / perform the task. Ensure you are speaking only about you and avoid using “we” here. Results Explain the outcome of your action i.e. how your work resulted in a positive outcome. Close the loop! Further reduce your stress by creating a “bank” of examples, evidencing how you successfully demonstrated different competencies. Remember to close one STAR example before introducing the next. (E.g. “ … A further example of XXXXXXX was when. ..” (next Situation). Competency based questions are a fantastic way to showcase your abilities and convince the interviewer that you are the perfect candidate! This guest post was written by Karen Chubb, Professional Development Coordinator at the University of Cumbria. This entry was posted in assessment centre, employability, interview, job, job description, jobs, recruitment and tagged answering interview questions, application skills, common interview questions, interview prep, interview questions, interview skills, skills on 19 March 2014 by UoC Careers Team. What do you do when your work history doesn’t match the skill set for the job you are applying for? Use your transferable skills! An important part of your time at University is getting your degree; that goes without saying. But employers will look at extra-curricular activities to differentiate the run-of-the-mill applicants from those they can see as a good fit with their company. Use them! This is perhaps one of the easiest ways to get some extra experience on your CV – volunteer with a company, and you not only help that company, but help your employability as well. For example, if you are studying towards a career in law, volunteering as an Independent Custody Visitor through http://icva.org.uk/ will gain you valuable skills and knowledge in the judicial system. Have you been back-packing around the world on your gap year? Have you spent the summer working in a Summer Camp or driving across the USA? Travelling shows prospective employers that you are flexible, cultured and independent. Demonstrate the skills you used on your CV: Did you learn a new language? Did you have to organise yourself and others? 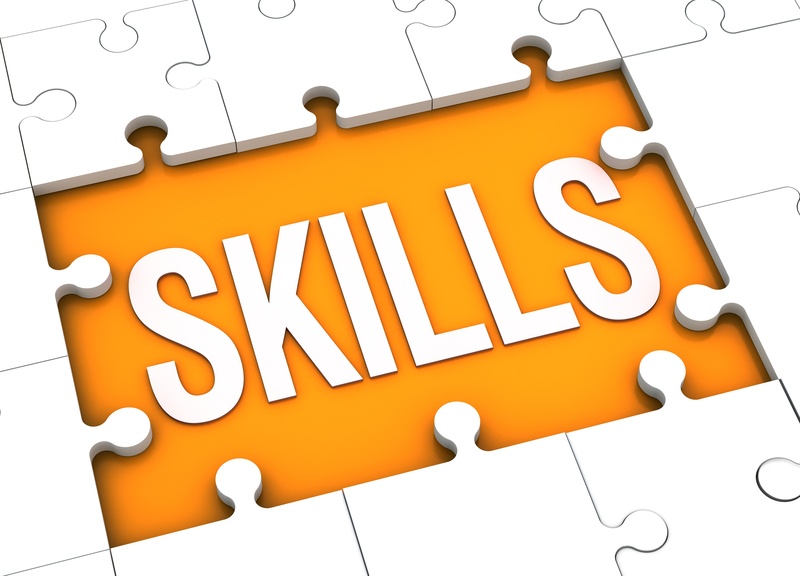 All of these skills enhance your employability. Think that your student job in a bar while you were studying has no place on your CV now that you are applying for a graduate job? Don’t be too quick to wipe it! A part-time job while you were studying shows employers that you have good time-management skills, are not afraid of hard work, and have well-developed interpersonal skills to boot! If you have something to say, then say it! If you are passionate and knowledgeable about a subject, but don’t have a lot of experience, then starting a blog can demonstrate to employers that you have the skills and knowledge required. It’s a great way to demonstrate your writing skill as well as helping you to develop your own voice. Make the most of the ‘interests’ section on your CV by highlighting how your interests make you the perfect fit for the company. Any interest you have, be it photography, playing the violin, sports or even bird-watching, can prove that you have one skill or another; motivation, passion, a drive to succeed. As long as you can link your interest with a skill that is required by the company, include it on your CV! This entry was posted in CV, employability, employment, jobs, placements, volunteer, volunteering, work experience and tagged bar work, blogging, Curriculum vitae, CV, employability, Extracurricular activity, gap year, hobbies, interests, interpersonal skills, language, part-time, part-time work, skills, summer camp, transferable skills, Transferable skills analysis, travel, travelling, volunteering, writing on 23 December 2013 by UoC Careers Team.